The Association for Palliative Medicine (APM) has welcomed a new audit into care of the dying, but warns that significant improvements still need to be made to support dying patients and those close to them. APM President, Professor Rob George, said that a core job of any hospital is to care for the dying, yet this audit demonstrates that this is still not consistently happening. 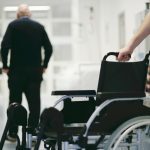 ‘12 years on from NICE recommending that medical and nursing services should be available seven days a week in palliative care, only a fifth of hospitals are in a position to provide the level needed,’ said Professor George. ‘More worryingly, 26 trusts had no medical input into the provision of face-to-face specialist palliative care. The audit revealed that training formal in-house training did not include/cover specifically communication skills training for care in the last hours or days of life for doctors in only 37 per cent of trusts and for nurses in only 29 per cent, despite national recommendations. ‘Adequate basic training is provided for all doctors and nurses for a number of clinical issues like resuscitation and infection control, and we would expect hospitals to have specialists available when needed for urgent support in stroke management and heart disease, for example,’ commented Professor George. ‘Yet, although we all face dying at some point, there isn’t adequate training and access to specialist support in the majority of hospitals to ensure all dying patients receive the care they deserve whenever they need it.